THE LIFE ARTISTIC: Leading the vanguard of Caribbean women writers taking our stories to the world comes with a hefty schedule. As such, poetess Lorna Goodison is perpetually in high demand. Presently nominated for the Bocas Literary Prize (to be awarded in Trinidad next month), for her most recent anthology, Oracabessa, Goodison recently earned Poem of the Week cred from Britain's The Guardian, for her transporting, Paris-set piece "At Lunch in Les Deux Magots," hailed by the venerable media house as "a relaxed blend of plain and heightened language" that references literary giants James Baldwin and Richard Wright. 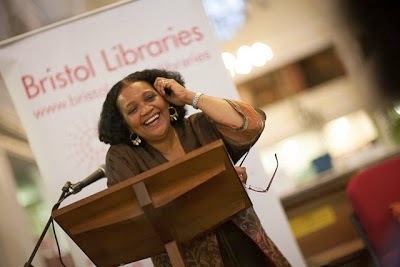 Come June, the Canadian-based Goodison is off to the UK for the Yardstick Festival (celebrating the best in Black literature), where she will read from her work at the Bath Central Library and later present a poetry master class. Geoffrey Philp and Tanya Shirley are also scheduled to take part in the festival. See yardstickfestival.org.uk to learn more. ACTING OUT: How exciting to learn that film roles are still coming in for Audrey Reid. The veteran stage and screen actress (Dancehall Queen, Third World Cop) recently stepped in front of the cameras to shoot scenes for the forthcoming urban drama Respect di Jux, a project with Jamaican and international ties. In the movie, Reid plays a women who witnessed a murder, gets jailed overnight and upon release is labelled a snitch by people in her community. The part is a far cry from Miriam, the Christian warrior wife she plays in Embassy Saga (opposite Oliver Samuels), which will take her this week to Antigua & Barbuda and the US Virgin Islands. Up next: a starring role in Samuels' new laugh-riot Dolly House (opening in Canada in May), with Dennis Titus and Ruth HoShing. RISING TO THE OCCASION: Capping a year of courageous, prize-worthy efforts (both on and off stage), Julene Robinson has bagged an impressive two Best Actress nominations for the April 14 Actor Boy Awards, on account of her terrific starring roles in Jonkanoo Jamboree and Thicker Than Water. Whether she will take home the gold next month remains to be seen (after all, she's up against the likes of Camille Davis in Ladies of the Night and Thicker Than Water's Dahlia Harris), but with her pair of equally strong nominated turns she's already a winner in our book. SHE GETS AROUND: You can say this for Prime Minister Portia Simpson-Miller: she is ever on the go. 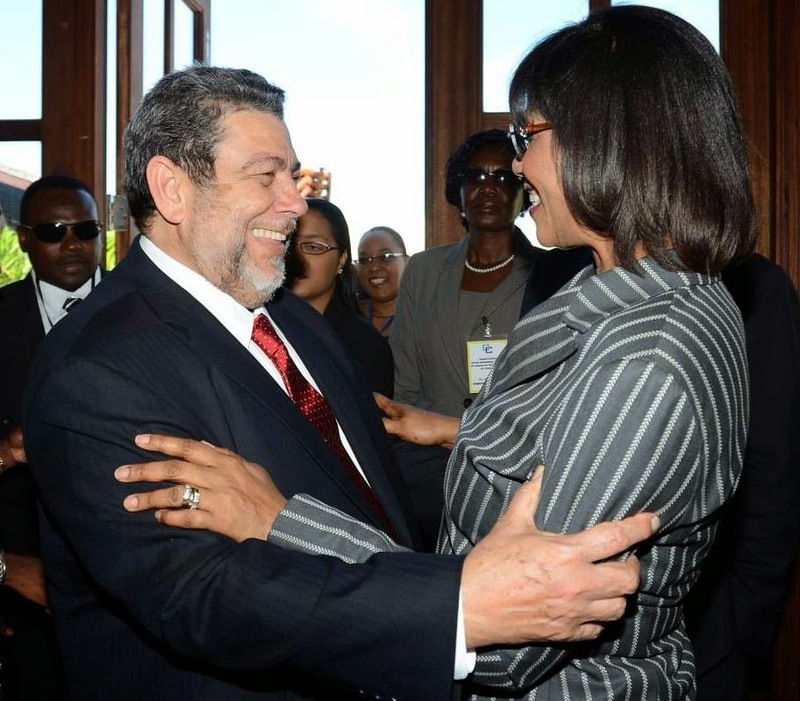 On March 10, the PM breezed into the Buccament Bay Resort in St. Vincent & the Grenadines, where PM Ralph Gonsalves hosted her along with her counterparts from across the region on the occasion of the 25th Inter-Sessional Meeting of the Heads of Government of CARICOM. Back on local soil a few days later, PM Simpson-Miller chaired a meeting featuring a European Union delegation headed by Her Excellency Paola Amadei, who offered congratulations to Jamaica for effectively reducing the alarming number of juveniles in state care.